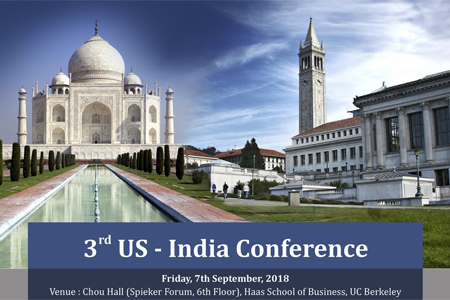 ​We invite you to join us ​to listen to key speakers from industry and thought leaders from both India and the US​ ​​as well as network with​ ​corporate executives, members of key US- India trade and economic bodies, professionals, academicians and students. AIMA​ is a non-lobbying, not-for-profit, apex body for management in India with over 30,000 members. AIMA creates numerous national and international platforms to discuss various management and leadership issues aimed at propagation of best practices through numerous foreign collaborations with professional bodies and institutions. AIMA​ ​is also organising a CEOs Delegation from India on this occasion. It will be led by Sunil Kant Munjal, Chairman, AIMA International and Chairman, The Hero Enterprise and TV Mohandas Pai, President, AIMA and Chairman, Manipal Global Education Services. Other key delegation members from India include Preetha Reddy, Executive Vice Chairperson, Apollo Hospital Enterprise Ltd; Harshavardhan Neotia, Senior Vice President, AIMA and Chairman, Ambuja Neotia Group; Sanjay Kirloskar, Vice President, AIMA and Chairman & Managing Director, Kirloskar Brothers Limited; CP Gurnani, Managing Director & CEO, Tech Mahindra Ltd; Vineet Agarwal, Managing Director , Transport Corporation of India Ltd; Vikram Chandra, Founder, Editorji Technologies and Akhil Bansal, Deputy CEO, KPMG in India to name a few. Please click on the links for further information on AGENDA and SPEAKERS. Registration info: Registration opens June 24. Register online or or by emailing Bijoy Philip at bphilip@aima.in by September 6.